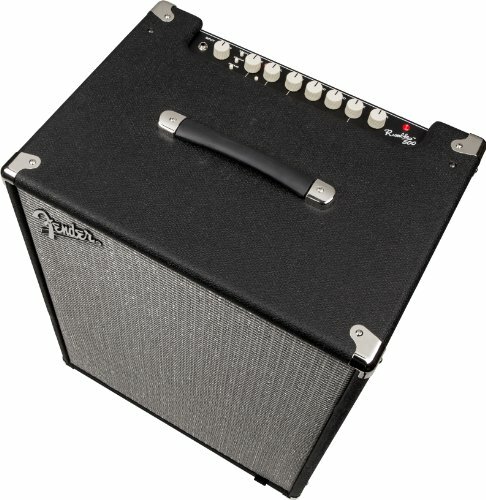 What Is the Fender Rumble 500? Who Is the Fender Rumble 500 Designed For? 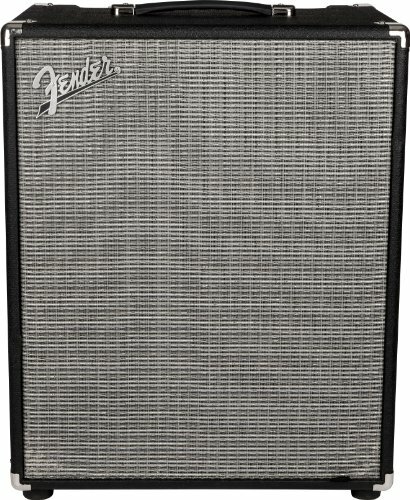 What’s Included with the Fender Rumble 500? Conclusion – Is the Fender Rumble 500 a Good Choice for You? Many people don’t know that before Fender made guitars, they made and sold amps. They have been in the business of producing and selling high-quality and incredibly powerful amps since the 1940s, making them an expert and making it obvious why so many people turn to them for amps when they need a powerful and reliable piece of equipment. Fender Rumbles have been popular for years and have undergone a number of changes to finally develop into the powerful and durable Fender Rumble 500. The first Fender Rumble was available from 1995-98 and was a 300-Watt all-tube amp. In 2003 the first solid state amp was released. New generations were constantly being designed, created, and released, and finally, the Fender Rumble 500 was released in 2014. 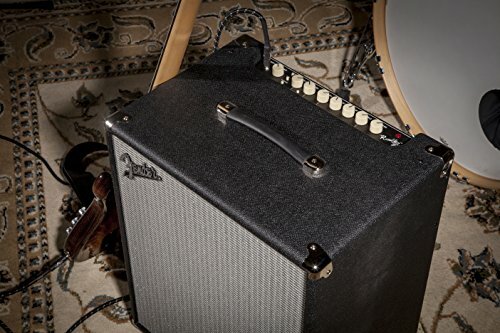 For years, Fender has been known for producing some of the best guitar amps in the world, and by honing their amps and working hard to produce ones that are durable and reliable, they finally created on the Fender Rumble 500. While not an inexpensive guitar amp, this is an incredibly powerful option and comes with the Fender name, giving musicians everywhere peace of mind about its quality and durability. This amp has been designed for the guitarist who is looking for a lot of sound and power when playing. It offers incredible control, which means that it is probably a little advanced for new musicians, but people who have been playing for a while will really enjoy all of the control that they can enjoy. Additionally, the Fender Rumble 500 is surprisingly versatile and easy to use. It is a powerful bass guitar combo amp that is perfect not only for use at home when you are practicing but also on stage. This means that when you are playing for your church, you will enjoy all of the power and sound that you want, so everyone will be able to easily hear you. Because it is so easy to make adjustments on this amp, it’s a great option for anyone who wants a lot of control over their sound and understands the difference that small changes can make. While beginners can easily use this amp, they may miss out on some of the control and adjustments that it offers. A beefy 500 watt class D power amp and ported speaker enclosure pumps volume and deep bass response but keeps this amp very light in weight - only 36.5 pounds! Like most amps that you can buy online, the Fender Rumble 500 comes with the power cord that you need to use to plug it into the wall, and nothing else. While this means that you will need to purchase your own cable to connect your guitar or bass to the amp, this does allow you to buy one of whatever quality that you prefer and can afford. This amp was designed to be useful not only for private practice but also to impress a crowd. You can easily plug in your headphone to silence the speaker output and play by yourself, or you can even plug in your MP3 player and be a part of your favorite band. The optional footswitch makes using this amp even easier and will give users a lot more control over their sound and adjustments that they want to make. Considering the price, there is a ton of value and incredible features included in this amp that really set it apart from others on the market. It’s hard to find any amp that will really compare with the Fender Rumble 500 due to the ease of use, power, and price point, but the Gallien-Krueger MB212-II amp is a good choice. This bass amp can be chained together with others if you really want to enjoy the incredible sound. However, it is more expensive and weighs almost 10 pounds more. The extra price and weight may make this amp too powerful and expensive for your use at church. Another great alternative is the Behringer Eurolive B1200-Pro. This is another 500 Watt amp and is designed to offer the best low-frequency sound possible. If you enjoy long bass riffs and want to really ensure that your lower notes shine then this is a good option to consider. It comes with a lower price tag than the Fender Rumble 500 but includes features like a built-in stereo crossover and clip and thermal limit protection. While some people may balk at the slightly higher price tag of this amp, it would be almost impossible to buy a less expensive amp that was anywhere near as powerful or dynamic as the Fender rumble 500. While this amp is heavy, it is not so heavy and difficult to move that you will struggle with taking it with you to church to perform. Thanks to the ability to turn down the amp and practice by yourself without bothering others, this is a multi-purpose piece of equipment that can meet your needs in a variety of ways. 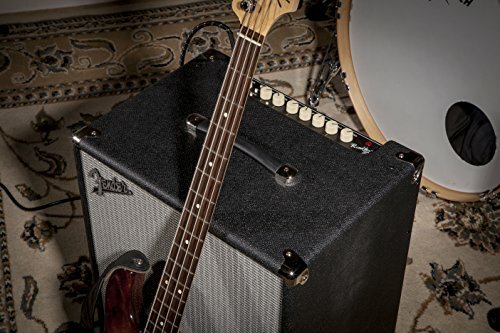 If you are looking for a powerful amp that can really help you stand out during a performance, but one that can also be used for private play, then you will struggle to find any amp that is better suited than the Fender Rumble 500. 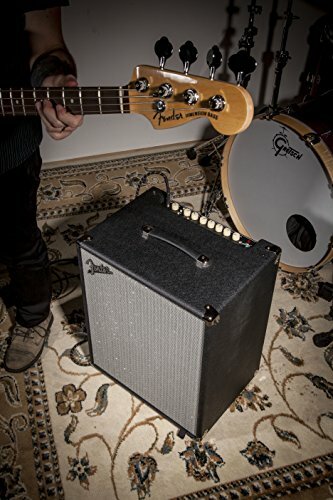 This is a great option for intermediate and more advanced musicians who understand how to control their amp to get the best sound from it, but even beginning musicians will love the power that they can enjoy when they use the Fender Rumble 500.